Water is an important element in your lawn care and maintenance program. 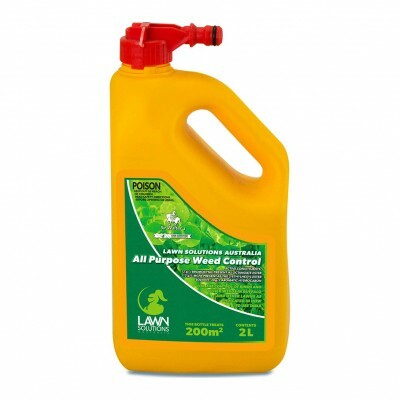 With a clever choice of lawn and the correct preparation you can keep watering to a minimum. A common question we get asked here at Lawn Solutions Australia is, “how do I know if I am watering my lawn enough?” – The answer to this question can be quite different due to a variety of factors. New lawns – Freshly laid turf needs to be watered a couple of times a day, every day, for the first couple of weeks. Once your lawn sets root into the soil, it is starting to become established. You can test for this by trying to gently lift a corner of a roll or slab, if it doesn’t lift easily, the roots have set into the soil. This is a good thing as it means your lawn is growing well. Once establishment is happening you can start to back off the watering, depending on the weather and the climate in your region. Established lawns – An established lawn will require a lot less watering and, in some areas, depending on your turf variety, it may be able to rely on rainwater alone. The idea is to get to the point where you water less frequently but give the lawn a deep soaking. This encourages deep root systems and so a more self-sufficient and drought tolerant lawn. As the water drains through the soil, the roots seek the water out deeper in the soil, rather than just hanging around the surface, which is what will happen if you just give it short, regular splashes. Educate your lawn to go the distance. Overwatering is not good for your lawn, your hip pocket or the environment, in fact, it’s a total waste of time and should be avoided at all costs. Long, deep soakings less frequently will ensure your lawn develops better drought tolerance and saves water. If it’s wilting or losing colour. If you walk across your lawn and there is a noticeable footprint left behind, then your lawn is likely to be lacking in water. If it bounces back, your lawn should be well hydrated. This is known as the footprint test. During hot weather, if it goes all dry and crusty and takes on a light brown colour, there’s a good chance it needs a drink. The best time to water your lawn is early morning or late in the afternoon/early evening, when there is no wind and less chance of water loss due to heat related evaporation. In humid areas, avoid late afternoon or early evening watering as this can increase the chance of fungal diseases. Early morning is best.